Among other things in tonight’s Japan-only Nintendo Direct, a new trailer for Monster Hunter 4 was unveiled. It showcased new monsters, the Charge Axe weapon, and made the new Feral Wyvern status look far more terrifying than I thought it would be. A new feature was announced for Monster Hunter 3 Ultimate as well. As I’m sure many of you are aware, only the Wii U version of the game has the capacity for online hunting, while the 3DS can only support local multiplayer. 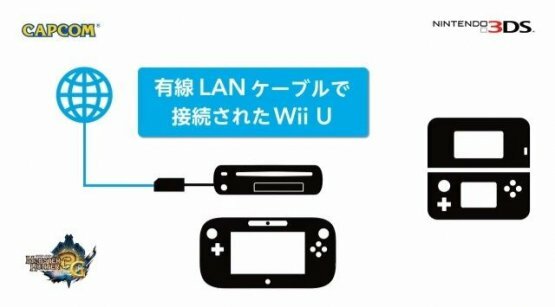 Nintendo have just announced that a 3DS will soon be able to connect wirelessly to a Wii U and then use it as a launching pad to hunt online. Only a single 3DS can be connected. Monster Hunter 3 Ultimate will be released in America March 19th, Europe March 22nd and Australasia Match 23rd. Monster Hunter 4 will be released in Japan this summer. There has been no word as of yet on a Western release. Previous Post:Japanese February 21st Nintendo Direct: Mirror of Fate, Zelda, Layton and More!